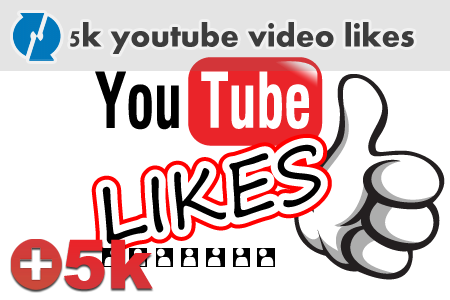 5,000 YouTube likes for your video(s). Nowadays building YouTube community become one of the most important emarketing ways. Get your video more viral with the power of YouTube rating. Increase your video likes and give YouTube a great reason to suggest it in it’s internal network. The video likes comes from real human accounts deciding to like your video. Delivery rate about 500 likes per 1 day.